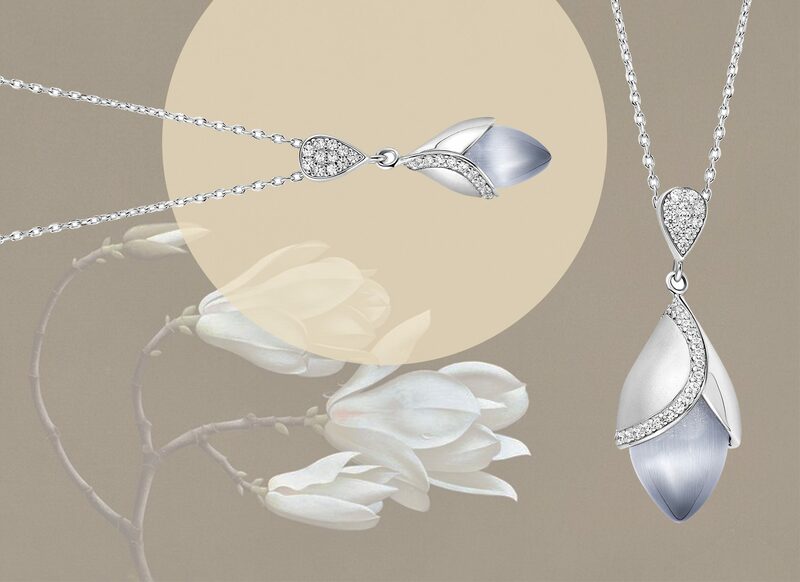 British brand Fei Liu Fine Jewellery have taken the natural beauty of the cat’s eye gemstone to offer a capsule range, which will be exclusive to their retailer partners. 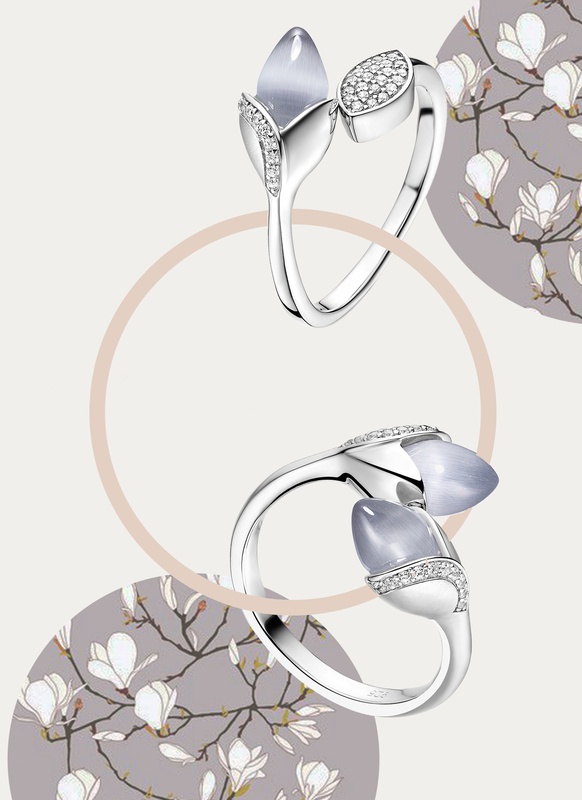 The Magnolia collection is a modern take on the namesake oriental flower. 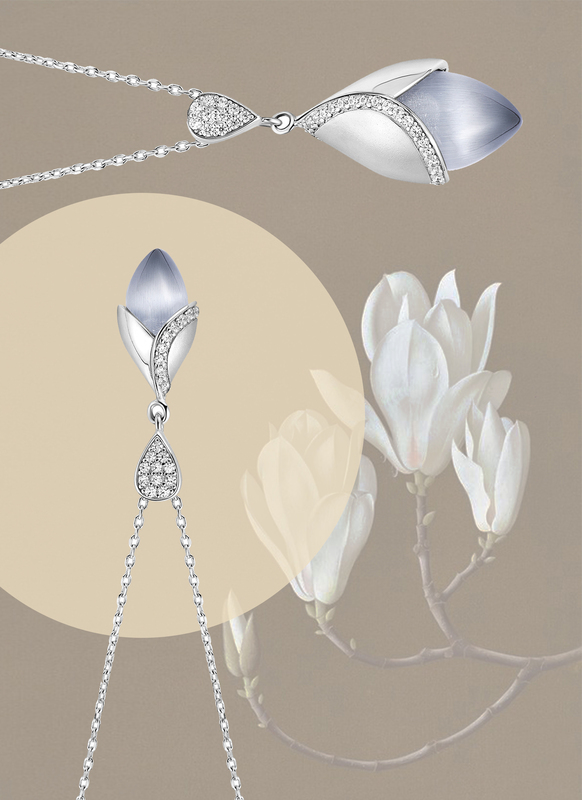 Floral motifs are largely epitomised across the eponymous designer Fei Liu’s jewellery. For this collection Liu sought inspiration from his art background and his love of oriental flowers. 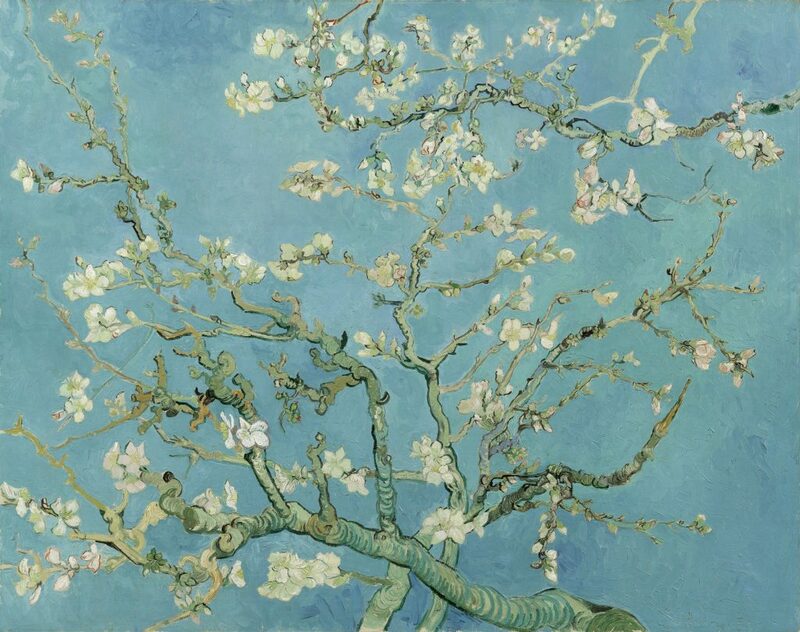 One painting that caught his eye was the ‘Almond Blossom’ by Vincent van Gogh. The painting not only uses understated colours and oriental flowers to allure the eyes, but also has a poetic undertone, in that the magnolias represent awakening and new hope as they blossom in the spring season. 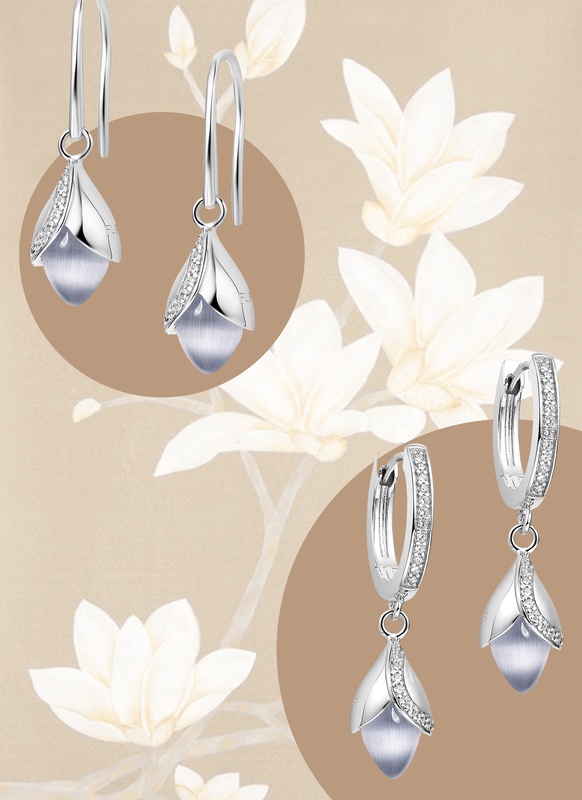 The new silver Magnolia collection debuts with several pieces, including rings, earrings and pendants. The designs are adorned with the cat’s eye gemstone, which is delicately cradled by formed silver petals with dewdrops of 8 hearts and 8 arrows cubic zirconia. About the new collection Liu says, “From a young age I was fascinated by observing the plants in my grandmother’s garden. Chinese art is based upon a keen eye of nature and acute observation and I think I leaned a great deal by observing the intricacies and delicate details of all those beautiful flowers.